Truth is I started to write this blog before Ole Gunnar Solskjaer’s mighty Red Devils won at Spurs last weekend, but delayed publishing until a more fitting occasion because there are parallels here that I believe will now be more fully appreciated. Twenty five years ago today we said goodbye to the original knight who made Manchester United great. 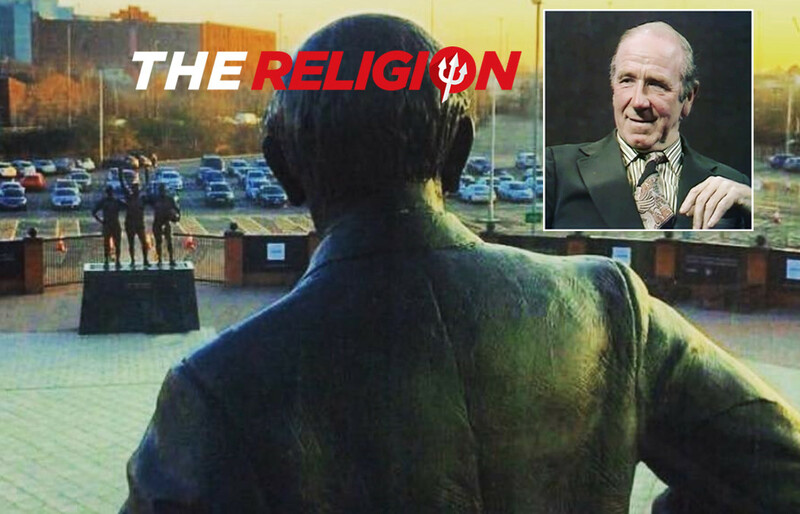 Sir Matt Busby is the godfather who changed the course of history. The Busby Babes, Munich, the European Cup triumph of 1968, the Holy Trinity of Law, Best and Charlton. These are the eternal memories that will forever be carried in the hearts and minds of every genuine Manchester United fan on the planet. Twenty years ago Busby’s spiritual successor Sir Alex Ferguson was on his way to inspiring a whole new generation of followers of Man Utd The Religion when he delivered our majestic Treble winners. Fitting that here in 2019 the adopted ‘Son of God’ – Fergie has always been like a father figure to the Norwegian – is at the wheel of the greatest football club on the planet. Solskjaer is much more than the iconic hero who delivered the winning strike on that unforgettable night in Barcelona two decades ago. Ole is the chosen one. The football student who learned from the best. Watching from the bench before being unleashed by the master to come on and strike decisive blow after blow, Solskjaer was preparing for the role of successor. Solskjaer is the closest we will ever come to finding a new Ferguson. He understands 100% how Busby created a religion. He inherited the DNA that inspires every footballing god who has graced the Theatre of Dreams. And he graduated under Ferguson, not just as a Treble winning legend but as a hugely accomplished reserve team manager. As a devoted follower of Manchester United for more than 50 years, I believe that I have seen the future because I know that we are witnessing the creation of a new dynasty. Of this I have no doubt, because our caretaker boss is a gift from above . . . here to rescue us from the misery of a man called Mourinho. Ole Gunnar Solksjaer will become one of the greatest managers in the history of the world’s most loved football club . . . if the powers who control the Manchester United that he adores believe in him and give him the keys to the kingdom on a permanent basis. His rival for the top job Mauricio Pochettino will also be one of the great football managers of the 21st century . . . whether he stays at Tottenham Hotspur or trades up and fills his boots at one of the elite clubs in world football. I am convinced both men have what it takes to deliver football’s finest to the promised land. How do I know? Because here are two men with a gift for man management, a steely determination to prove that good guys can be top dog and a love for the beautiful game that transcends into the pursuit of fantasy football that can conquer all. In the case of Solskjaer, this is a love story that can once again change the course of history. As a supporter who has enjoyed the highs and lows for more than half a century, I am acutely aware that the stakes have never been higher because our rivals have raised the bar and the Empire Must Strike Back. When Sir Alex Ferguson called time on his magnificent reign at Old Trafford in 2013, I remember saying that my doomsday scenario was a world where Jurgen Klopp went to Liverpool and Pep Guardiola took charge at Manchester City. These guys are truly the real deal. Only fools will question their quality, and I believe they are currently the two best coaches in the world today. Not only did my fear that Klopp and Guardiola join our biggest rivals come true. But we sold our soul and went into bed with Mourinho, a deluded narcissist so at odds with everything we love about Manchester United that we fell into a dark abyss that was suffocating our passion, our desire and our optimism. Divorce has given us a second chance, and new lease of life so delicious that we can now dream again. As Sir Bobby Charlton put it when he poignantly christened Old Trafford the Theatre of Dreams, this is where the magic happens. And that is what we love about our football club. As well as being uniquely equipped to be our leader, just like those two iconic knights who both made United great, Ole possesses the essential ability to surround himself with assistants of the highest calibre. While Busby had Murphy, and Ferguson had a succession of formidable assistants, the role of Ole’s No.2 Mike Phelan is priceless. The fact that Phelan is picking up where he left off with Sir Alex is not to be underestimated. Equally, the dynamic support of Michael Carrick, Kieran McKenna and goalkeeping coach Emilio Alvarez is key to Ole’s winning formula. Watching this band of brothers celebrate every goal like the fans they are warms the heart of every Red Devil and is a wonderful example to the players. But there can only be one leader. 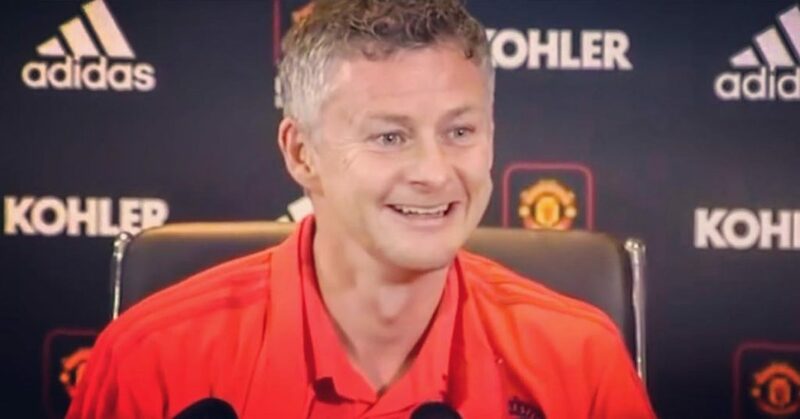 And Solskjaer is going to get better and better as he masters the best job in football. Solksjaer has it all and he is young enough to build a legacy at Old Trafford for many years to come. Ferguson was a few days short of his 45th birthday when he took charge in November 1986 and that just happens to be how old Ole is. I am not saying Solskjaer will get anywhere near emulating the trophy laden career of his mentor. But I do know how good I feel with Ole at the wheel and I pray that this time the king makers at Old Trafford have the courage to do the right thing. Meantime I know that Sir Matt Busby is looking down with pride from that Football Heaven in the sky because Solskjaer has given us our Manchester United back. The king is dead. Long live the king.